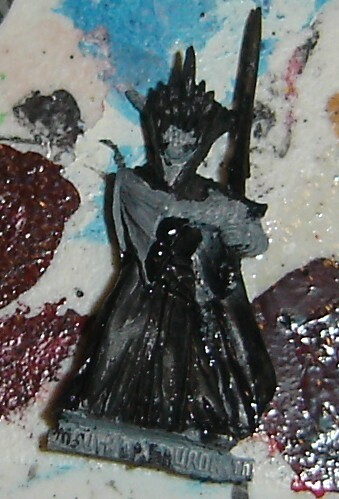 To paint the mouth of Sauron I gave him a black basecoat, then painted the arms and face as grey. 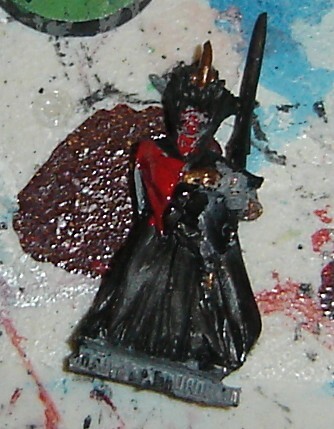 Next I painted the inside of the robes red, the mouth red, and the horns and arms and sword hilt bronze. I then painted the robes tie white, the buckle bronze, the bottom of the helmet silver, the mouth white with bronze teeth, the eye on the sword hilt red, and the inside outline of the robe red. 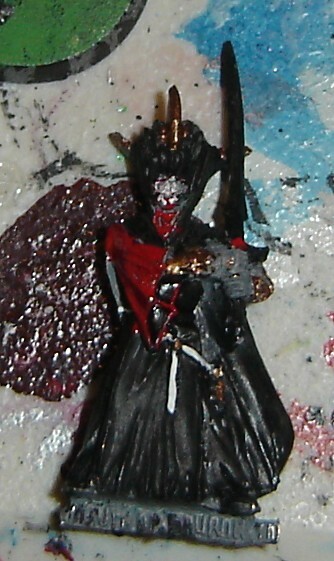 I finished up by painting the sword silver-black, the helmet silver, the neck red, and the folds of the robes red.